Sue Odom is a tax attorney who focuses her practice on the area of ERISA, employee benefits, and executive compensation. Sue has worked extensively with all types of employer-sponsored retirement and welfare benefit plans, including pension, profit sharing, 401(k), 403(b), and 457(b) plans, ESOPs, and health, accident, disability, Section 125, flexible spending, and other welfare plans. Her clients include large and small for-profit companies across all industry sectors, non-profit corporations, and governmental entities. The IRS and U.S. Department of Labor have reviewed plans that Sue was responsible for maintaining and with respect to which she provided regular legal advice on administrative matters, and those governmental agencies found no identified compliance problems on audit. She regularly obtains favorable determinations on qualified plans and newly-formed tax-exempt organizations. With solid and proactive fiduciary and business advice, her clients are able to avoid the time and expense of employee benefits litigation. Sue has established close personal and professional working relationships with IRS and Department of Labor representatives. Due to the vast number of submissions and compliance matters she has handled over the years, she knows many of the representatives, understands the government processes, and is very comfortable resolving client matters on the phone and in meetings with the IRS and DOL. She also has partnered with leadership at the IRS and DOL as members of a planning committee for the University of South Carolina’s Retirement and Benefits Management Seminar. She thinks outside the box and works with clients to find business solutions. Sue firmly believes in handling legal matters as efficiently as possible. 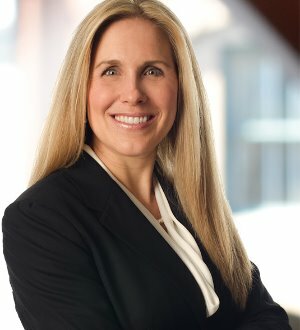 She helps to contain costs on these matters by working extensively with our clients’ other service providers, including CPAs, auditors, actuaries, administrative firms, brokers and others, playing a leadership role to orchestrate these providers to ensure that the most efficient party is involved with the project.